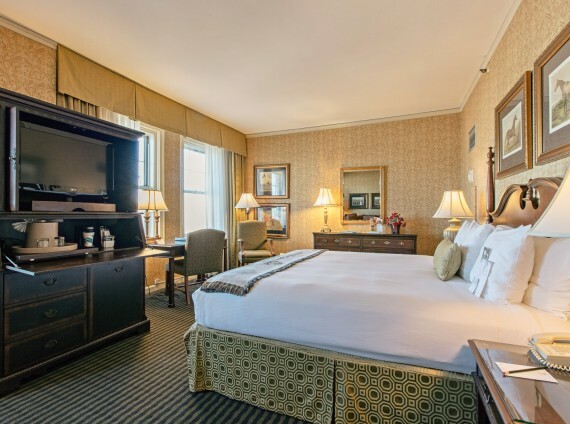 Rich fabrics, classic furnishings and luxury finishes create an Old World residential atmosphere in The Brown Hotel's 293 guest rooms, Club rooms and specialty suites. 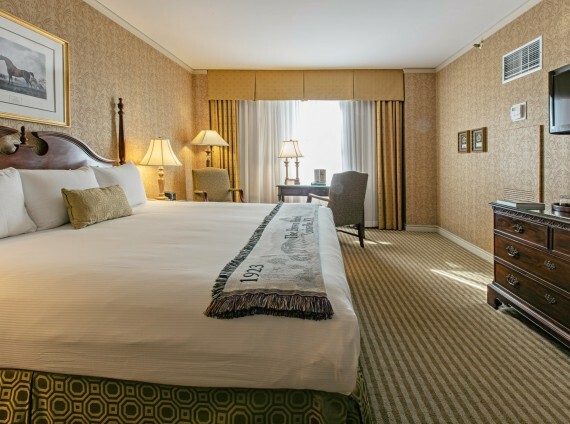 Individually decorated with Mahogany beds, classic wallcoverings, upholstered furnishings and each featuring The Brown Hotel's signature, hand-woven throw, the hotel’s accommodations are Louisville’s most luxurious and sophisticated. 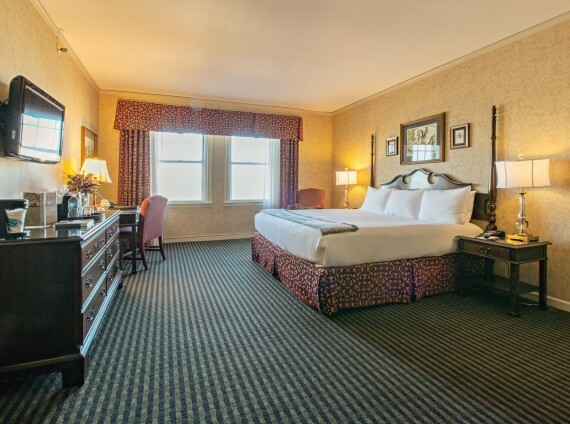 All guest rooms and suites feature a pillow-top bed, an executive desk, and an eclectic collection of artwork and accessories. Hand-polished Spanish Ramora marble floors anchor spacious bathrooms featuring luxury bath amenities and plush terry robes. 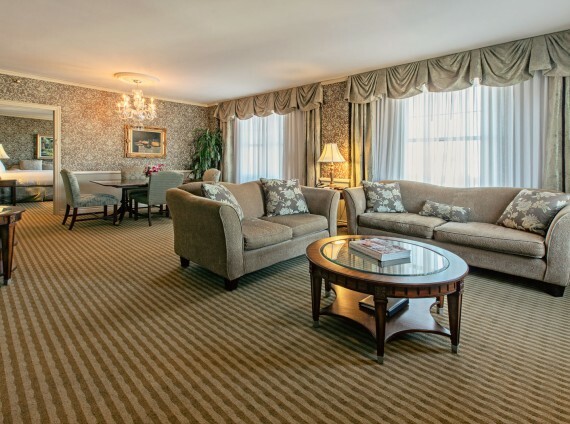 Classically furnished, our 500-square-foot Club Luxury guest rooms feature comfortable sitting areas with plush upholstered sofas, coffee tables and artwork. 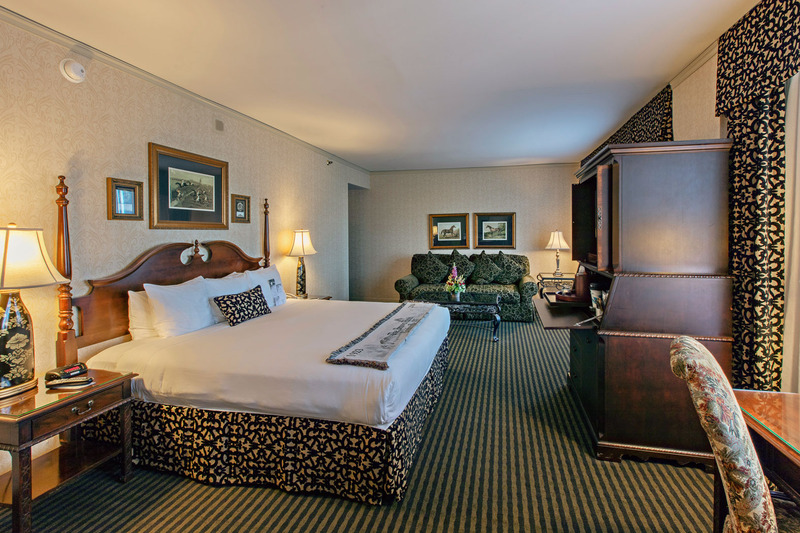 Choose one king bed or two double beds The Brown Hotel’s signature hand-woven throw, as well as access to the Club Lounge. 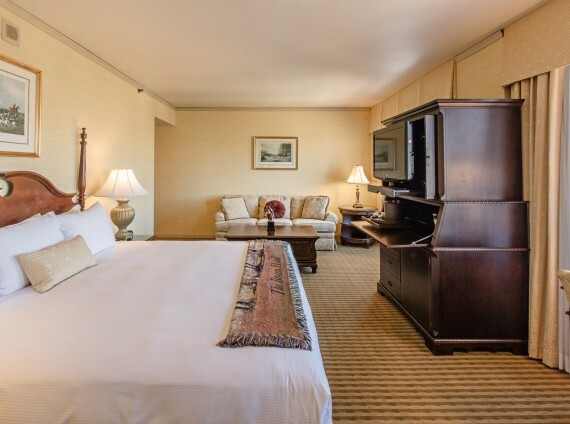 Featuring one king or two double beds, our generous Club Deluxe guest rooms feature pillow-top mattresses and The Brown Hotel’s signature hand-woven throw, as well as access to the Club Lounge. 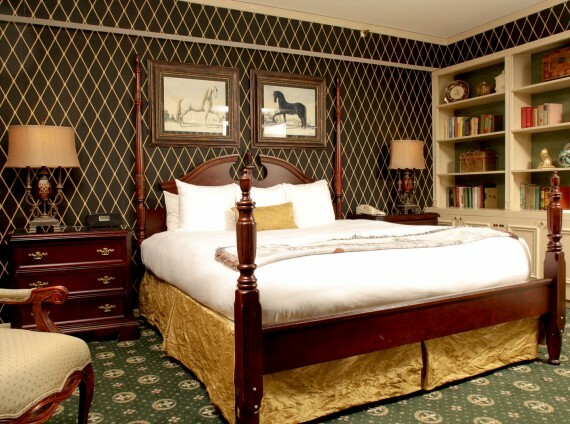 Our Classic Queen is our smallest yet best value room at The Brown Hotel. 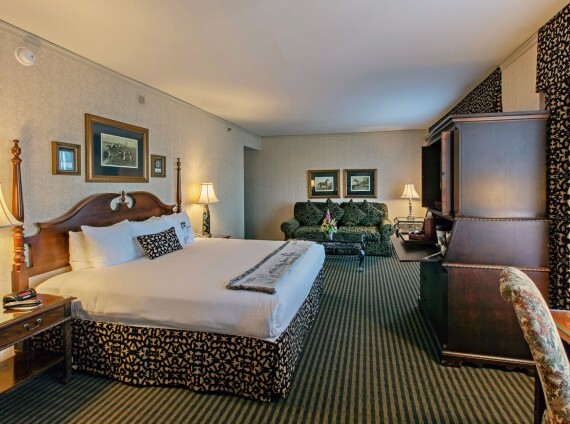 It is furnished with one queen bed and The Brown Hotel’s signature hand-woven throw. 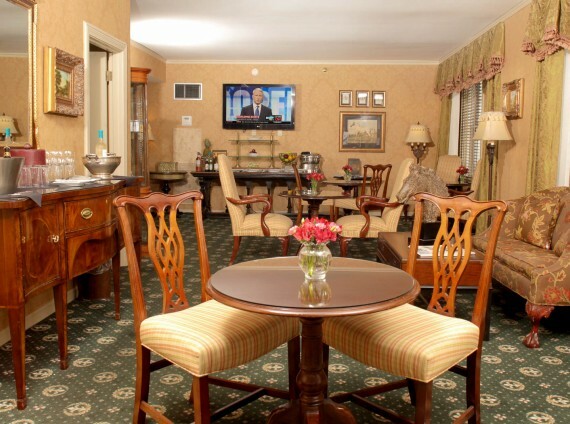 Guests have access to the Club Lounge. 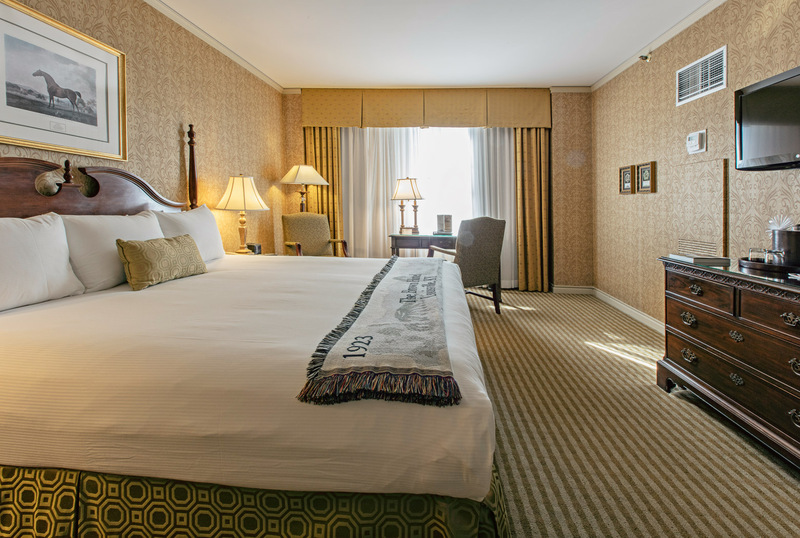 Measuring 500 square feet, our Luxury guest rooms feature either one king or two double beds and The Brown Hotel’s signature hand-woven throw. A sitting area framed by custom artwork imbues the space with a relaxing, residential ambiance. 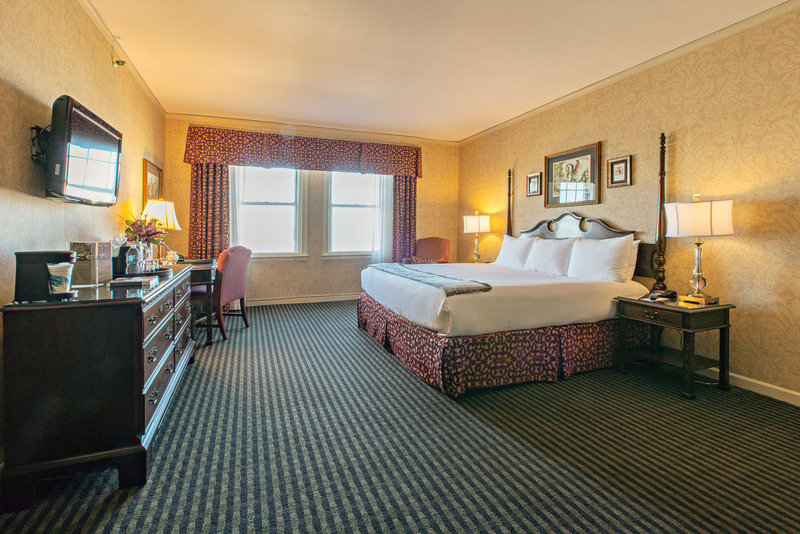 Featuring one king or two double beds, our generous Deluxe guest rooms feature pillow-top mattresses and The Brown Hotel’s signature hand-woven throw. Beautiful furnishings and custom upholstery create an atmosphere of warmth and elegance. 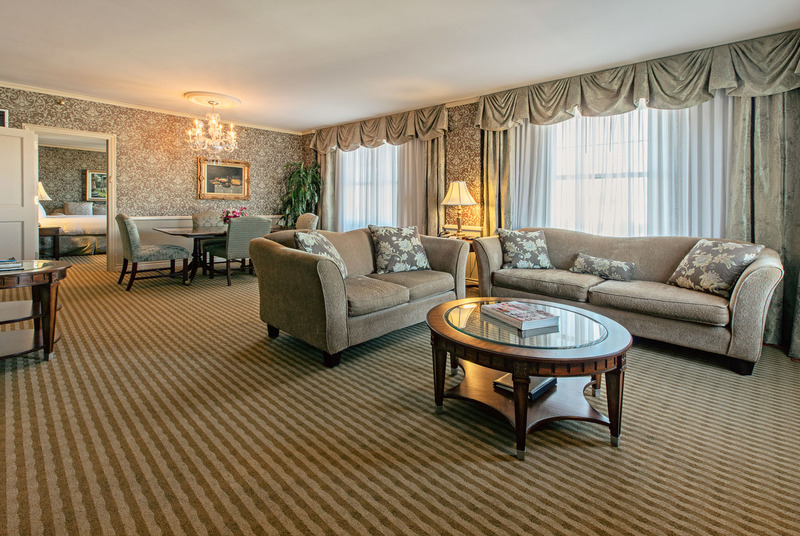 Measuring 1,000 square feet, our spacious Luxury Suites are ideal for entertaining small groups of friends, celebrating a special occasion or simply enjoying the ultimate experience at The Brown Hotel. Each features a beautifully decorated living room with adjacent dining space for six, wet bar, separate bedroom and full bath. 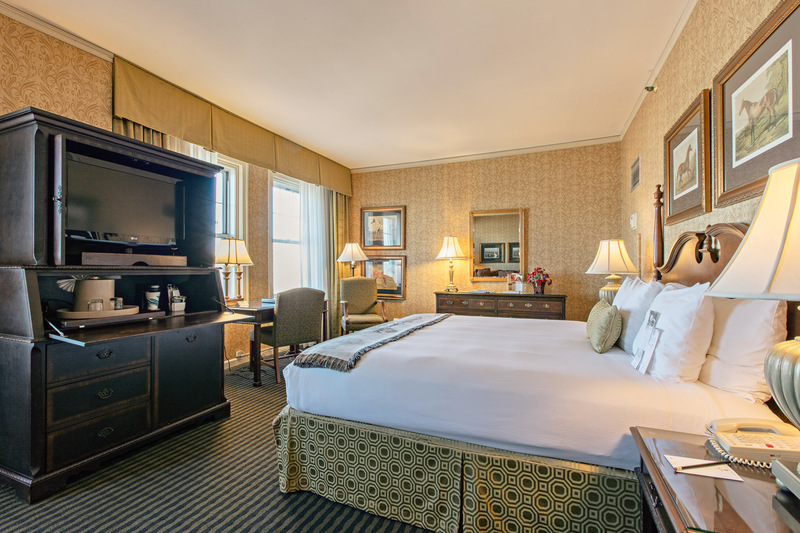 Overlooking 4th Street and Theatre Square, our light-filled Luxury Suites have expansive windows offering beautiful views. 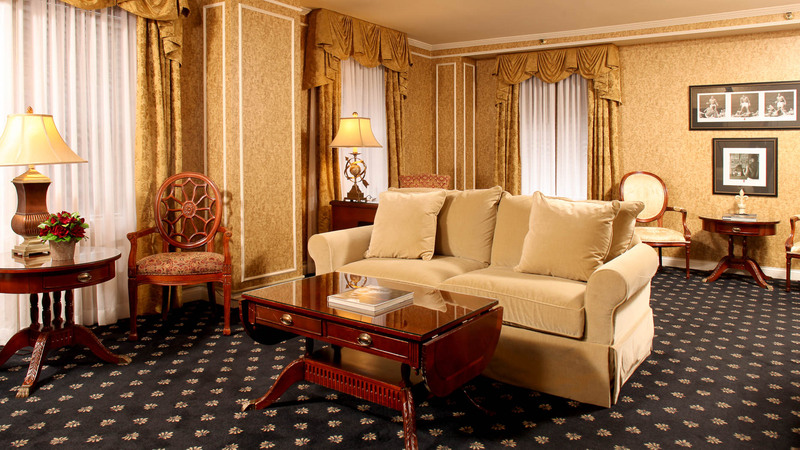 Luxury Suites are available with one bedroom or add a Classic Queen to create a two-bedroom suite. 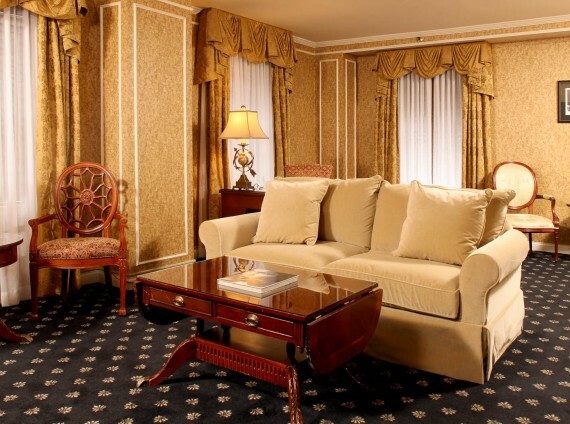 Dedicated in 2001 by “The Greatest” himself, Louisville’s favorite son Muhammad Ali, this elegant suite showcases signed Ali memorabilia, photos and boxing gloves. Opulent and oversized, it is decorated in shades of gold and black and features a separate living room with wet bar, dining room with crystal chandelier and hardwood floor, and two full bathrooms. 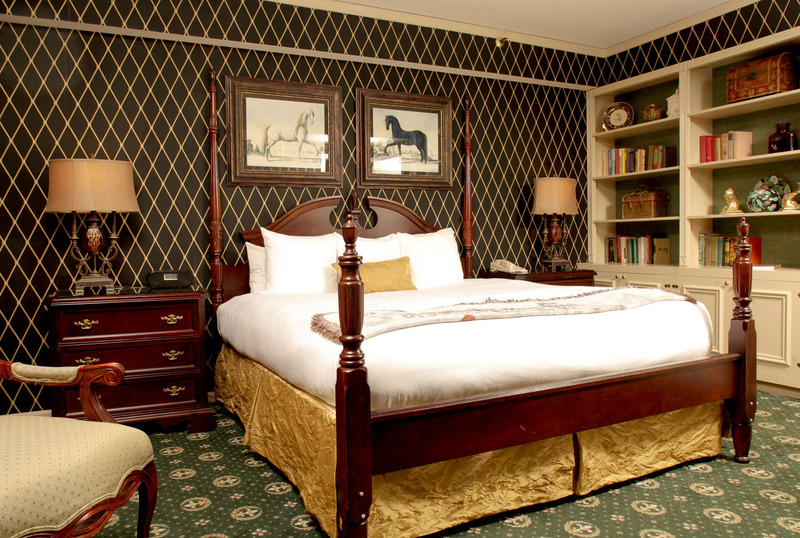 The bedroom has a mahogany four-poster king bed and master bath with marble Jacuzzi tub. Available as a one or two bedroom suite. Take luxury to the next level with The Club Lounge. 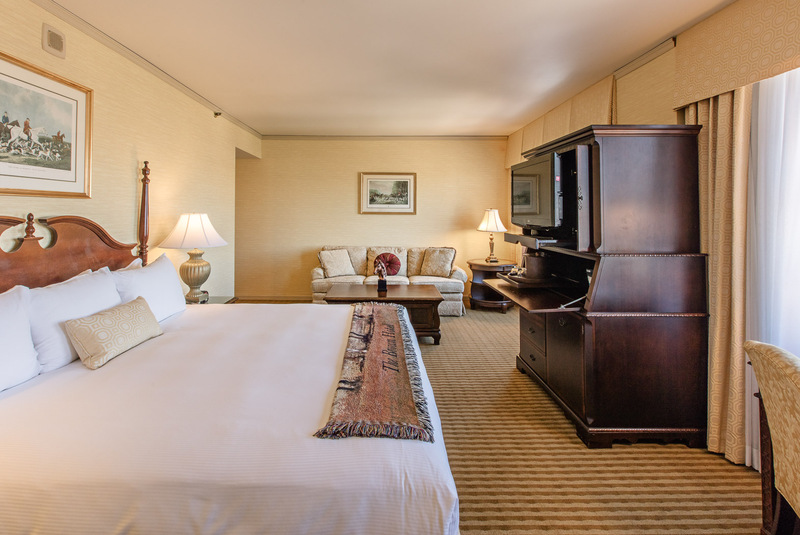 Located on a key only access floor, our Club Rooms offer unlimited use of The Club Lounge, a spacious private retreat where guests enjoy coffee, cocktails, and conversation amid beautiful furnishings and artwork. 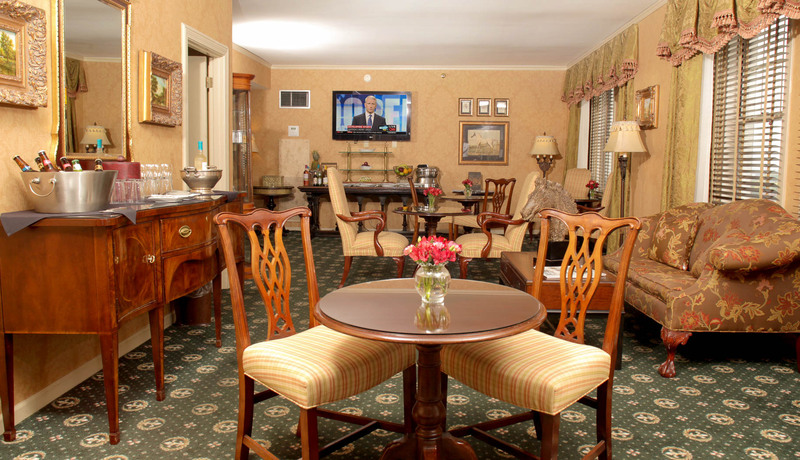 The Club Lounge is a gathering spot for continental breakfast and evening wine, beer, soft drinks, and hors-d'oeuvres. A dedicated concierge is available mornings and evenings to assist guests with travel arrangements and dinner reservations.